of a plumbob (kind of a green diamond). chest, arm, leg, and back hair to men. I love that you don’t have to buy expansion packs to get new features. 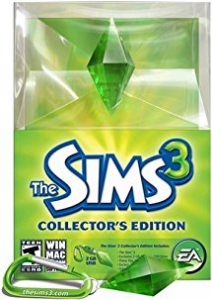 I still love buying the expansion packs, too, though! was the flash drive. Not worth it. I do miss parts of The Sims 2, like the date meter and I think the Sims in The Sims 2 had more potential to be attractive… and I like making my Sims attractive! I spend hours playing this game, though. It’s really fun - the creating, managing, and observing developing relationships and lives.